b. Comprehensive Pre-Departure Education Program (CPDEP) – The CPDED is either a four or six-day orientation seminar attended by Household Service Workers (HSWs). The CPDEP is jointly conducted by accredited NGO PDOS providers and OWWA. The NGO-accredited PDOS providers administer the PDOS on the first day, while OWWA handles the language, culture and stress management sessions on the succeeding days. 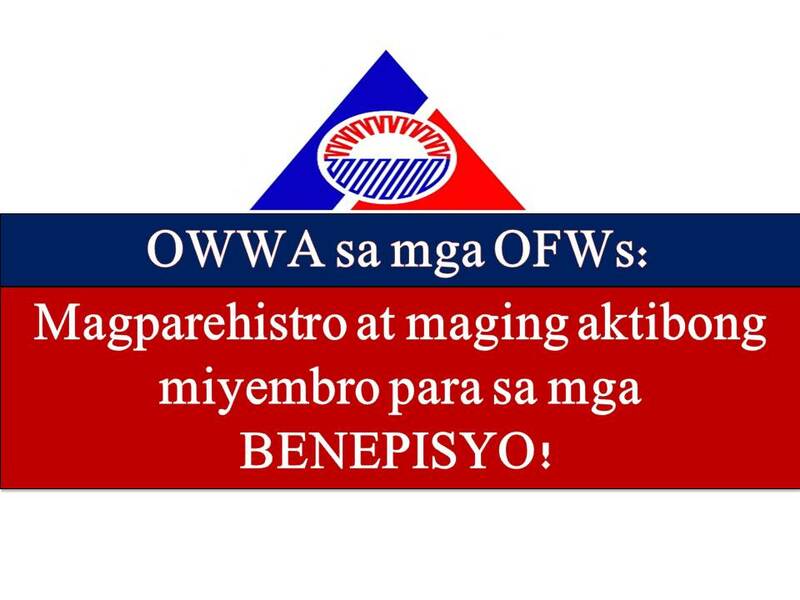 d. Educational Livelihood Assistance Program (ELAP) – Scholarship for the dependents of OFWs who were active OWWA members at the time of death. Only one child, usually the eldest child of member-OFW is given scholarship grant.